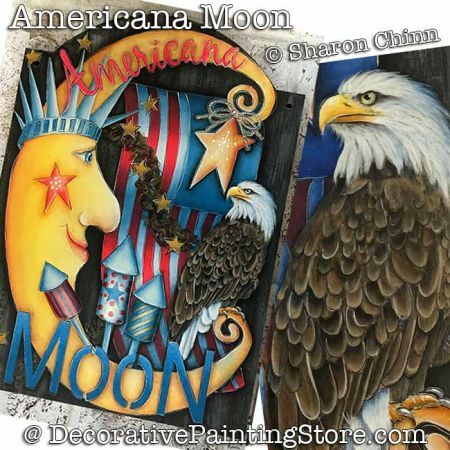 Fifth in the series of Moon Banners... this one features a Liberty moon, flag, bottle rockets, and bald eagle. This project is painted on a tombstone banner and is approximately 10" x 14". This version is a printed booklet with 12 pages.